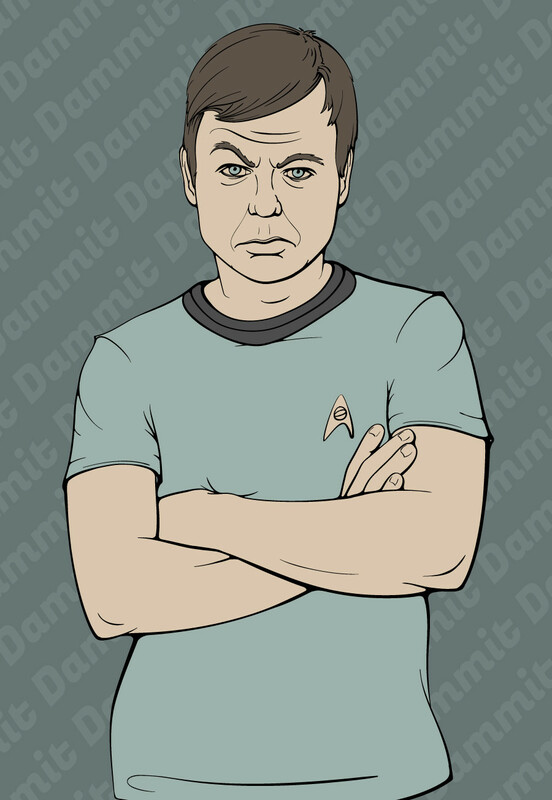 Illustration of Doctor Leonard “Bones” McCoy from Star Trek: The Original Series. This is a close-up of just Bones and is part of a larger desktop background. His favorite word is repeated to fill the background behind him. Full-width desktop version below.